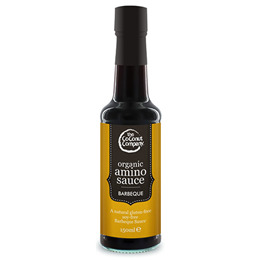 A beautiful barbeque sauce made from raw coconut sap and packed with essential amino acids. The Coconut Company`s organic barbeque sauce is derived from the raw sap of the flower blossom of the coconut tree, naturally fermented for 10 months without adulteration. An exciting blend of coconut nectar, coconut sugar, garlic, coconut vinegar, tarragon and sea salt, it has a rich, salt and slightly sweet flavour. 100% natural, soy-free, gluten-free with less salt than other barbeque sauces. 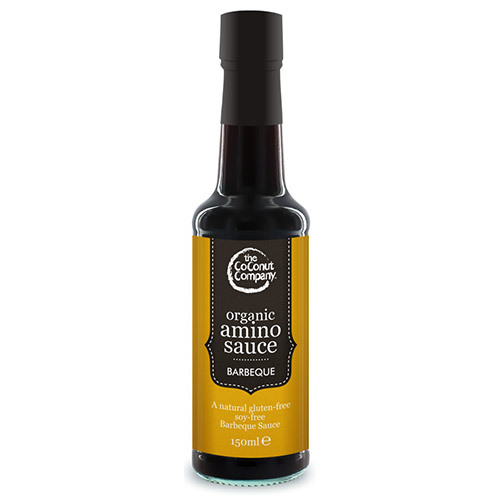 This amazing sauce contains an abundance of vitamins and minerals as well as a host of dominant amino acids. Organic coconut sap, organic coconut nectar, organic coconut sugar, organic garlic, organic coconut vinegar, organic tarragon, sea salt. A delicious flavouring sauce for marinades, basting or complement for meat, poultry, vegetables or seafood. Shake well before use. Sediment is a natural attribute of this sauce. Below are reviews of The Coconut Company Amino Sauce - BBQ - 150ml by bodykind customers. If you have tried this product we'd love to hear what you think so please leave a review.